Discover the 5 most effective work habits for freshies starting out in the working world. 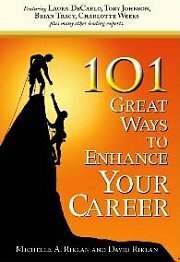 Being new in the working world, I am sure you are eager to show off your newfound skills and knowledge. However, out there in the working world some basic work effective habits can increase your productivity. By being consistently effective at your work increases your chances of success in your career. One of the best ways to signal that you are a keen learner and are not afraid of hard work is to volunteer for assignments. Especially assignments that no one seems interested to do. However, before that do assess your own skills and knowledge to see if you can confidently accomplish it. If you are confident in completing the task in full and perfection, go ahead and volunteer for it. I am sure we have all heard this often enough. Be nice to people regardless of their rank and designation. It sounds philosophical but when you are nice to people they go out of their way to help you. And being new in an organization you would never know what sort of help you would need. Colleagues often like to work with nice talented people. When you have this effective work habit you increase the chances of people wanting you to work on their team. Being nice to people is just common courtesy. There is nothing extra ordinary about this particular habit that you need special skills. A smile in the morning and a “Good Morning” is a good start. In this day and age, people working in pressurized environments often use stress as an excuse when they blow up. Is this necessary? Nice is often reciprocated by nice. In fact, it can lower your stress level. These are the 5 effective work habits I constantly drill into new employees who are fresh graduates in our company. At first glance, these may seem like common sense. However, in actual working environment people tend to sometimes forget these very basic effective work habits. And don't practice them often enough. Internalize these and consistently practice them to increase your chances of success.